Do you struggle with the tech stuff? In this podcast, learn how you can take advantage of automation to build a more efficient, more valuable and more profitable business. 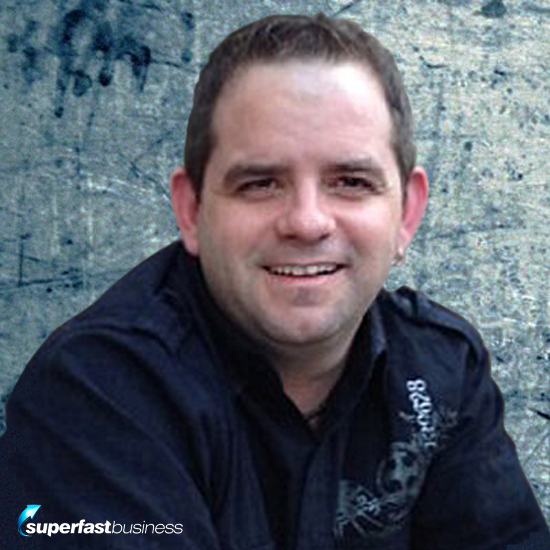 05:12 – How achievable are automated funnels? 09:34 – How can you raise your customer lifetime value? 17:09 – How do you get the numbers? 22:50 – What is Life Book? How to achieve automated funnels. [Click To Tweet]. The biggest mistakes of marketers. [Click To Tweet]. How to raise your customer lifetime value. [Click To Tweet]. Get the numbers in your business. [Click To Tweet]. Start the journey to automation. [Click To Tweet]. James: James Schramko here. Welcome back to SuperFastBusiness.com. In this interview, I’m having a chat to Teddy Garcia from InfoMarketingSystem.com and Teddy is a specialist in taking prospects through a well-organized campaign or system if you like to end up into customers and that’s exactly what we’re going to be talking about today. So, welcome to the call, Teddy. Teddy: Thank you, James. I’m so excited to be here man. Looking forward to this. James: We got fair way back. I bumped into you several times over the years. It’s same system every time I go to a conference whether it’s marketing, especially in the U.S. but also in other countries, you are there. You’re right at the cusp of this marketing crowd. I think that’s because so many marketers have great ideas. They’ve got books. They’ve got websites. They’ve got memberships. They’ve got e-commerce stores. But, they really struggle with some of this tech stuff and you have that under control. Teddy: Yeah. I am kind of unique. I grew up being technical. My dad was into computers really early on. So, as a kid, I learned how to program computers but I also always had the marketing background as well. And I went to school for marketing and you know, in the work that I have been doing over the past several years, I have been really fortunate to kind of worth with really some of the best and biggest names in the industry and get a real behind-the-scenes glimpse of what works and what doesn’t work and how to really kind of structure campaigns that are designed specifically not only to generate visitors into customers, but also, to kind of help free the entrepreneurs from their day to day operations and kind of helped them to give them that – the freedom that we all got in the business for in the first place. So, it’s been great. James: Why don’t you give us some scope to the sort of projects you’ve worked on in the past in terms of people we might recognize or the size of the operations because from memory, you were there right at the beginning of this stuff. You started to integrate different software items from some of the big names behind the scenes which turned into popular automation programs and software that have sort of trickled down to consumer level now and sort of, everything in the box type program. But, the original stuff was really put together by you back in the old days. Teddy: Yeah. Absolutely. I started working with a, with Rich Schefren back in 2007-2008. That was kind of during like around the time of his kind of profit system program as well as The League of Extraordinary Minds launch which he did with Jay Abraham when they interviewed 25 of you know, the top world thinkers – Tony Robbins, Brian Tracy, Marshall Goldsmith, people like that. And so, during that launch actually, was when we kind of built the first real automated webinar-type platform because those recordings it all happened at different times. And then we’re all kind of assembled into kind of one-hour clips but they were all broadcast as if they were currently live even though it was all automated. So, that was really kind of the first, what we now called evergreen webinars or automated webinars so I kind of built that initial technology and in fact, what is now Evergreen Business System. You know, Mike Filsaime kind of modelled a lot what we have built back during that launch to build Evergreen. So, that’s one. So, I worked with Rich for a couple of years. And now, I’m working with Jay Abraham and Jay has been a client since back in 2008, still an active client. Other names you may know of, Robert Allen, kind of helped all his students right now get their websites set up and their membership sites and automated systems built for their book launches. I worked with Sally Hogshead who is a very big speaker more on a corporate side who has great personality assessment where you kind of go through and figure out how you fascinate other people. We did some similar work with Life Book where we built the entire online version with Life Book as well as their assessment process and things like that. So, yeah, I mean, there’s the 10 other top names in this industry. Like you said, we go to every, pretty much every single event where there, attend as a sponsor and as an attendee. I’ve learned to actually use my sponsorship and the company to help pay for me to attend the events that I was always at anyways. So, now we get paid to go, meet lots of cool people and, but we’re always staying on top of what’s new and what’s changing in the market because that’s so critical in this industry. James: How achievable is it for our average listener to be accessing some of these automated funnels? Teddy: You know, I mean, funnels have become kind of the mainstream, hot topic this year. Like when the past four, five months now, you’re kind of hearing lots of different people talking about funnels. And so not only has the, the strategy that has previously been kind of locked up with some of the top people now being disseminated in terms of what the funnel is and how it works and how they’re structured but the tools that you need to implement those type of campaigns have also become, you know, more accessible in price and easier to grasp and things like that. This is kind of the year of the funnel. You know, I’m just trying to stay a little bit ahead of the curve and talk more about engagement and metrics and the other things that really drive the funnel. You know, how to go about segmentation through surveys and assessments and things like that. So, that’s some of the stuff that you know, I’m going to be talking about when I’m out in Australia. And, I’m speaking at your event which I’m very excited and looking forward to given that it’s my first time out in Australia. So, I’m excited about that. But, yeah, so, you know, I think in general, it’s, this is the year where you’re going to need to start really implementing this type of strategy in your business because now that everybody knows about it, everyone’s going to be implementing it and if you don’t, you’re such going to be left behind. And they’re critical because they work. They’re critical because you know, people are going to buy when they’re ready to buy and most people have gotten burnt out on the traditional, you know, 4-step launch sequence. So, you got to find different ways to deliver value and keep the engagement and communication with your prospects going. And that’s what an automated system helps you do. James: Yeah. And I’ve seen this happening in big companies and I’m able to replicate a lot of this at my own business level. For example, I was asked by a friend of mine the other day what type of Sennheiser wireless receiver and sender am I using to make videos when I’m out and about. So, I went over to Amazon and I had a look at the model number and I sent him a link and then this week, I got a follow up email from Amazon that’s like, “Hey, James, are you still interested in some audio equipment?” and it listed all the products that I had on that page. And that’s exactly what I’m doing in my business with little behavioral-based action sets when people click on a checkout but don’t buy and I will follow them up with a very similar email and I’m taking clues from big companies like Amazon. And I don’t see them doing so much of the same sort of tactics that you see in our everyday marketing life. You know, they’re not, they’re not running urgent tent sales and Facebook ads leading to limited time off sales and stuff. It’s a little less hypey, a little more strategic. And I really like the way they’re doing that. And we can now with the access to cheaper technology, emulate some of the same behaviors and actions steps. Would you say that it’s possible to do on a reasonable budget? Teddy: Yeah. Absolutely and I think it’s a good point that you bring out there because I think the biggest mistake that I see people make and it’s perpetuated by, you know, a lot of the other marketers out there based on the tools that they develop and the solutions that are being sold and things like that which is, which is the assumption that it’s all about traffic. You know, we need this push button widget that’s going to get you ranked on YouTube or on Google and you know, help you dominate Facebook ads or whatever and traffic’s great but as you and I kind of both know, traffic is the easiest part to deal with. It’s monetizing that traffic and getting that traffic to actually convert which is the hardest part. So, I’ve seen so many people spending on traffic or on tools to drive traffic before they even have a real conversion process in place to really effectively capture those leads, nurture them and convert them into customers. And then, now, once they convert them into customers, focus on maximizing that customer relationship not focusing on, where’s the next bucket of traffic wherein we’re going to pour more leads in the funnel. It’s, you know, how much are you going to raise that customer lifetime value by you know, offering other products, tracking their behaviors, knowing what they’re interested, all that kind of stuff. So, yeah, I mean, the technology has gotten very inexpensive. There’s software for instance like ActiveCampaign which is, you know, similar in pricing to Mailchimp. You can get like 2500 contacts for free. And it has real marketing automation functionality where you can do if this-then that type of logic. You know at a premium price point that never existed before. You used to have to buy into something like InfusionSoft or Office AutoPilot or you know Marketo or Realcore or something like that to get real logic-based marketing systems and so, it’s definitely coming down in price. And I think it’s only going to get cheaper. And same thing with the tracking and the analytics and survey tools and all that kind of stuff. But it’s just a matter of getting the right mind set and understanding where your focus should be which is, always on the conversion part and making the right offer to the right people not just, how am I going to get any traffic on my site. James: Nice one. Really glad you picked up on that. This obsession with traffic is really where most people are spending all their attention on there and so few people have any kind of follow up or sequence or system. I think we should dig in to what kind of things people might actually be able to implement. We talked about why you might consider some kind of a system and smart sequences built out. We talked about some of the tools you might use to do it. I’m using the Office AutoPilot, soon to become Ontraport tool for that. In my business, which is a sort of I guess, it’s a mid- to low-level compared to the things that are out there. But, it’s certainly a quantum leap from just having an email list-based marketing system which I came from which was just throwing records into list rather than by the customer record. So, in practical terms, what are some steps we can take to move from no automation, to starting to build a system that helps us increase the lifetime value of a customer? Teddy: So, whenever you’re trying to build any sort of automated process, you know, you really got to start from the end in mind and you kind of work backwards. So, you know, what I would do is start identifying what, you know, what are the core offers that you want somebody to buy from you and this is probably another mistake that I see people make is that they want to have like one or two offers. You know. You should have a whole level of ascension in the relationship from you know, a front end, low cost product, $27, $47, $97 all the way up to, you know, $50,000 mastermind of one on one coaching with you or you know, whatever it is. You should have that kind of that level of dissention and products of each of the, each of the critical price points. So, under a 100 bucks, $1.97, $4.97, $19.97. One, because that dramatically changes the relationship but two, because if I paid to get that lead to the website whether it’s through a paid traffic like Adwords or Facebook or whether it’s SEO, you still paid somebody to do a linkbuilding and all that kind of stuff. So, there’s still cost associated with it. So, you want to recoup that initial lead cost as much as possible so you can generate leads and break even ideally or just with a small loss. And then from there, based on what they bought, then proceeding to not only straighten the relationship, provide lots of value, help them consume the products that they just bought because we know for a fact that you know, only 10 or 20 or 30 percent of people will actually read that free report that they’ve downloaded or go through that product that they’ve just bought but we also know that if they do read it or they do go through it, they’re much more likely to buy something else. Because you’ve obviously delivered some value, you’ve positioned yourself in their mind, and you’ve probably given them some sort of information to move their business forward and so as long as you continue to do that, they’ll continue to buy from you. So, it’s important to kind of just think through those steps – you know, what are the things, what are the goals that I want that a new person that comes into my world to go through and how do I set them on a path or on a course that leads them into that direction and more importantly, how do I acknowledge and anticipate when they steer off of that path, right? So, for instance, we talked about, we talked a lot about metrics, and you know, things like RFM analysis which stands for Recency, Frequency, Monetary value and things like that. But like, one of the key numbers is knowing what is your average number of days between the time you generate a new contact and then somebody fills out a form requesting some sort of information from you and they make that first purchase? Like, what is that time period in your business?